Introducing the Short Sleeve Viper Swimskin. The most popular suit in Kona just got even faster. 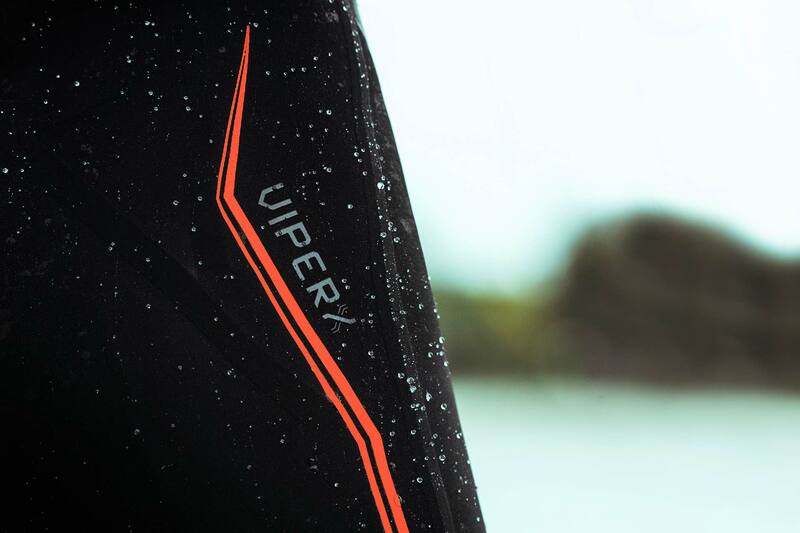 Never satisfied, we took our revolutionary patented Arms Up technology from the Generation II Maverick Wetsuits and applied it to the Short Sleeve Viper for unprecedented speed and shoulder mobility in the water. Additionally, we have updated the suit with silicone leg grippers based on our learnings from the Pro Cycling Collection and Generation II Tri Race Apparel, eliminating sausage leg and resulting in more comfort. 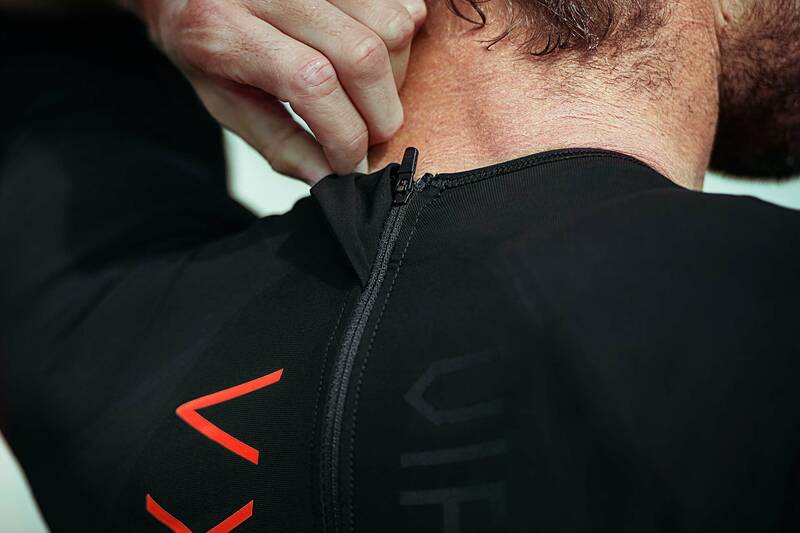 The Short Sleeve Viper X is USAT and WTC legal and allows you to fully cover up your short sleeve tri suit on the swim, providing more coverage and further reducing friction and drag in the water. The suit is built with two varieties of the same premium Italian stretch-woven textile and a kinetic knit textile in the arms and independent neck suspension panel for liberating flexibility. It also features a hydrophobic Teflon coating, high tech bonded seams, hidden stitch reinforcement, and a low-profile auto-locking YKK zipper for ease in stripping the suit off en route to T1. 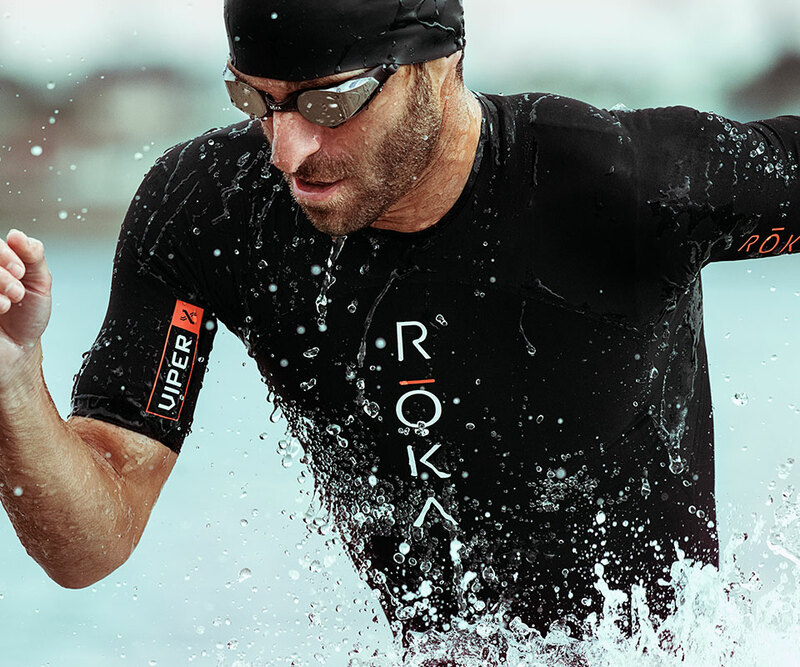 If you have a non-wetsuit race on your calendar, the ROKA Short Sleeve Viper X offers the ultimate in swimskin performance. Our revolutionary Arms Up technology eliminates restriction allowing you to swim faster and more efficiently. Enhances mobility and greatly reduced irritation throughout the swim. Increases mobility and prevents chafing on the neck. Printed silicone leg grippers on the inside of the leg opening for a straight seam cut and no sausage leg. Premium YKK breakaway reversed #3 coil zip design provides an easy removal exiting the swim. Liberates your arms while providing support where you need it most. Bonded with a high-tech seam construction and novel hidden stitch reinforcement. Our patent-pending IXI Taping helps connect the movements of your lower body to your core and arms to increase the efficiency and transfer power of your stroke. Teflon coating repels water better and reduces drag and water absorption. Viper X note: Because of the compression taping throughout, the Viper X may run small compared to other Viper styles. If you are on the border of a size, we recommend you size up. Select your height, then locate your suggested size based on your weight. Return anything you've purchased within 30 days of receipt of the item for a full refund or exchange (excluding shipping). Read more about returns and exchanges, here.